Welcome to the Age of the Storyteller. 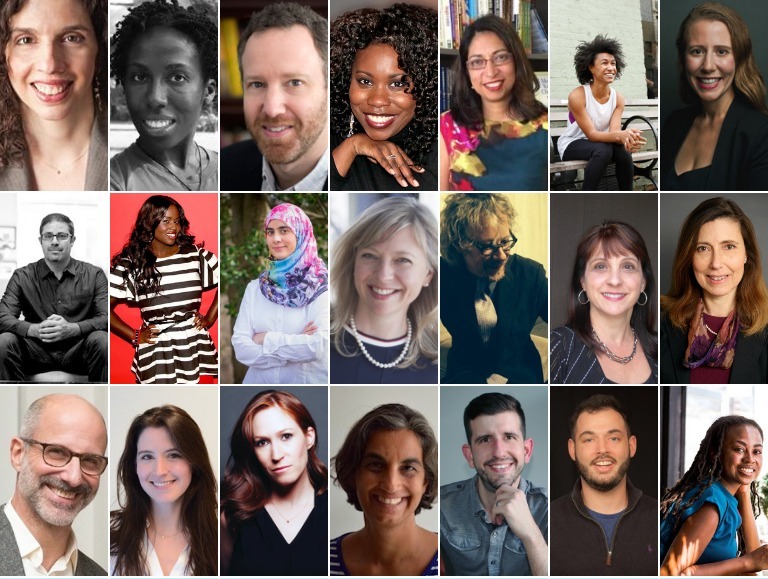 Unlike any other online course on the market, this course is designed to empower you with the practical tools you need to launch your book, while keeping the creative experience at the center of the process. Panelists: (Left to right) Tina Andreadis, Director of Publicity at HarperCollins; Jennifer Baker, author and creator of the Minorities in Publishing podcast; Dan Blank, founder of We Grow Media; Regina Brooks, author and founder of Serendipity Literary Agency; Fauzia Burke, Founder of FSB Associates; Nicole Cardoza, digital strategist; Katie Freeman, Executive Publicist at Riverhead Books; Dan Gerstein, CEO of Gotham Ghostwriters; Charreah Jackson, author of Boss Bride; Intisar Khanani, author of Thorn; Maggie Langrick, founder of LifeTree Media; Richard Nash, Digital Media Strategist; Toni Robino, leading editorial collaborator; Ellen Scordato, partner at Stonesong Literary Agency; Jeff Seroy, SVP of Publicity and Marketing at Farrar, Straus and Giroux; Cynthia Shannon, Marketing Manager at Chronicle Books; Elizabeth Silver, author of The Execution of Noa P. Singleton; Anjali Singh, agent at Ayesha Pande Literary Agency; Phil Stamper, author of The Gravity of Us; Jeff Umbro; founder of Podglomerate and Jamia Wilson, Executive Director and Publisher of Feminist Press. 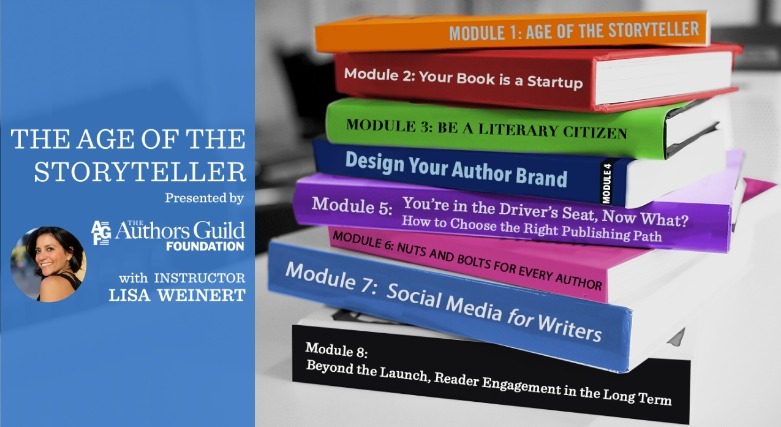 While the course is open to all, Author Guild members enjoy enhanced follow-up Q&As with Weinert, where they can ask specific questions relating to their own book- and writing-related marketing needs. In these Q&A sessions, members will be able to log in and interact with Lisa directly in the Authors Guild Members Community every Tuesday and Wednesday beginning January 22 until March 13, 2019. Contact us for questions or more information on how to join the Q&A sessions. This course is free, available to the public, and is being offered through Teachable, which provides dynamic video led online courses. Lisa Weinert is a veteran book publicist and the creator of the Narrative Healing: Unlock the Power of Storytelling program at Kriplau Center for Yoga and Health. She currently teaches a publishing course at Wesleyan University.